I think, that it would bring a lot of light to the realms, had there been organized a tournament from time to time. Of course I imagine all the Knights of the realms (including those evil! ones), gathering from time to time to prove themselves worthy, before the great audience of the Donut. The tournament could take place in different domains possibly promoting each domain to the world. This could also be a solution to disputes and a way to tell others who's right or wrong. The tournament would last lets say a week, during then, a different games and duels would take place. 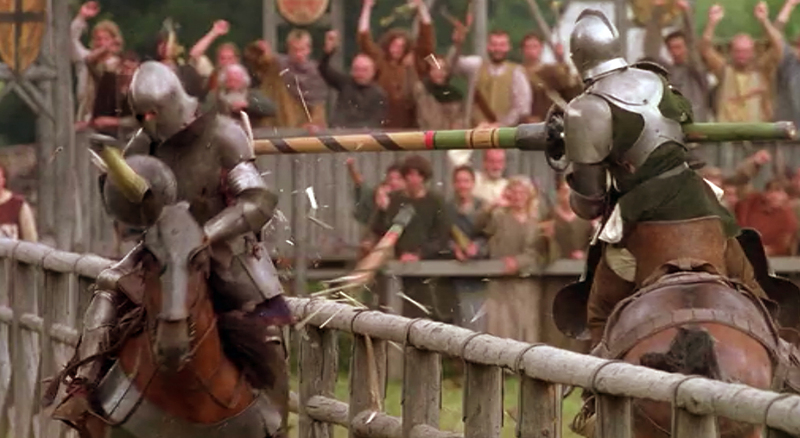 Jousting - two mounted riders fight for three rounds. Duel - two foot soldiers fight, three rounds as well. Battle - two guilds fight untill last man stands. Great! Of course none shallt... let him or herself end up as modern Don Quixote, falling into fantasies of slaying dragons and saving damsels in distress. It is rather sensible to fight actual problems; pollution and environment hazards for instance.